Arsenal are reportedly willing to offer Chelsea Alex Oxlade-Chamberlain, in return for Nemanja Matic . 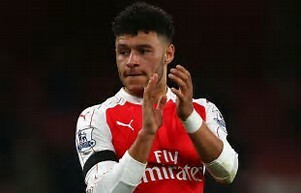 The Ox has been widely tipped to leave the club this summer, as he has just a year left on his current deal and has not signed an extension. Liverpool had been rumoured to be leading the chase for the England international, but this latest report provides a new twist. Matic could soon be deemed surplus to requirements at Stamford Bridge with the Blues closing in on a move for Tiemoué Bakayoko. Although Manchester United had been linked with a move for Matic, doubt has been poured on that potential transfer due to supposed ill-feeling between the club after the Red Devils signed Romelu Lukaku ahead of the champions.